This time I want to share my story to make the distinct design of ESR Meter. ESR Meter using 3 pieces of IC TL082 designed by Allan Wilcox and some components of his supporters. 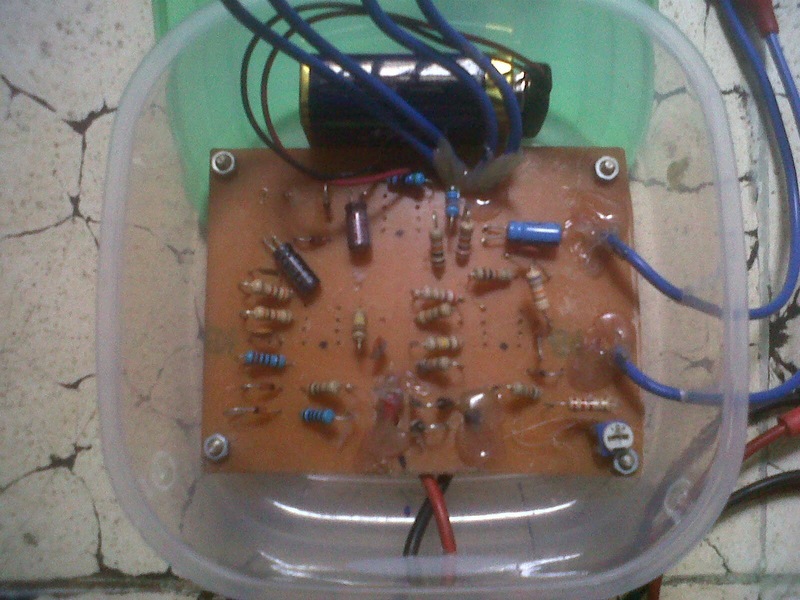 After I made the ESR Meter it is suitable to use in conjunction with analog meter on my scale 100uA. The appointment of the needle not linear, so that to read the scale of 0.1 up very easily. The label on the box is the label that I took from a website that is on the label Blue ESR Meter made by Bob Parker. You can see below picture. Please note, the ESR Meter can be equipped with buzzer sounds to indicate whether the capacitor we test good or not where we can set on how many ohm range buzzer will go off so we don't need to see the panel meters to shorten the time in the repair. I print the layout with wrong position so that IC should be installed upside-down, but with a little gently I have successfully completed and are very satisfied with the performance of this ESR Meter. 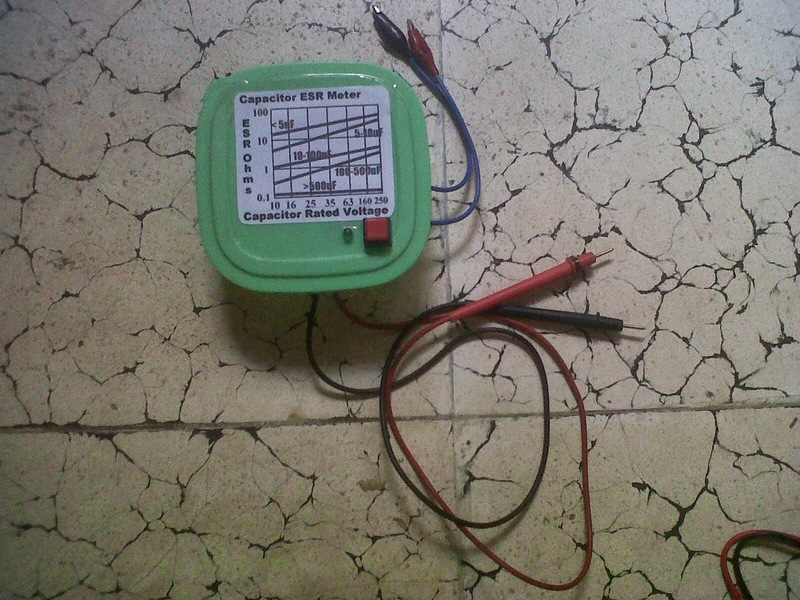 I always fix the TV with the help of ESR Meter.Wanna see my first DIY ESR Meter? Look at this.